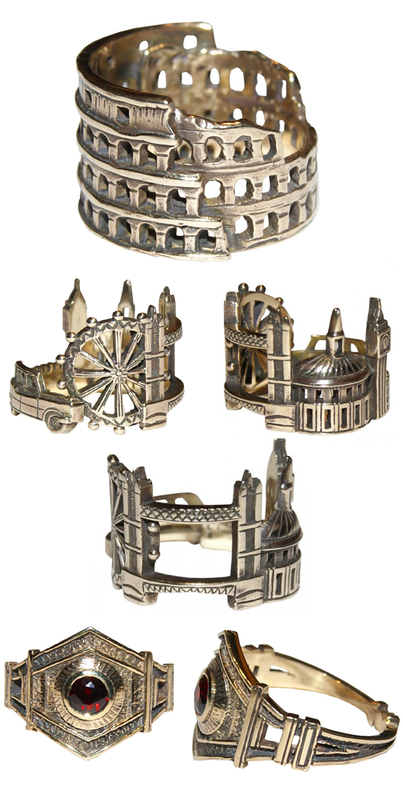 The Metropolis collection by British jewellery designer Zara Simon takes some of the world's most famous man-made structures and turns them into intricate pieces of jewellery. Above you can see the Roma (top), London (middle) and Paris (bottom) rings. 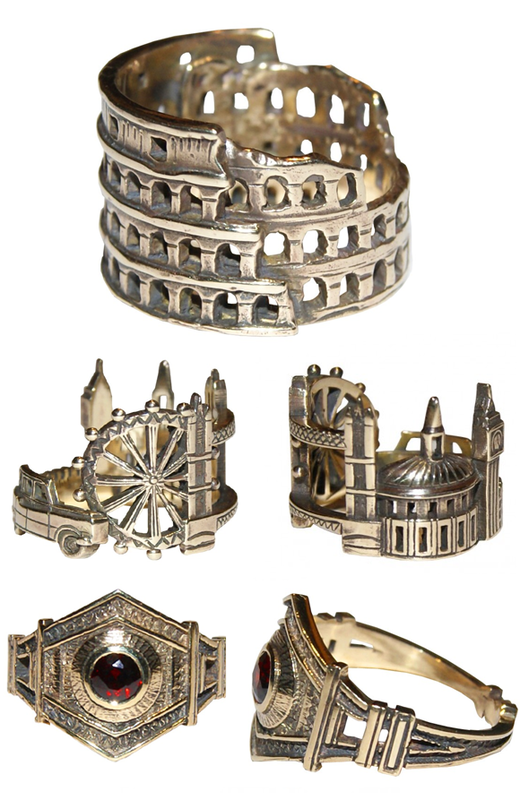 Personally I think the Roma ring is particularly inspired as it turns the Colosseum - a symbol of the power of ancient Rome - into a wonderfully detailed ring. Talk about power dressing! I also like the clever use of the Eiffel Tower in the Paris ring - if you didn't know this ring was part of the Metropolis collection you might not even notice the shape of the iconic structure worked into the design. Prices for these rings begin at £1000 and work upwards, so they would be investment pieces were you to indulge. However - good news - fans of Zara Simon's travel-inspired jewellery can now purchase it on the highstreet! Keep reading . . .
To celebrate Accessorize 30th birthday, Zara Simon has created a capsule collection of necklaces, bracelets and rings designed to be layered, draped and stacked. 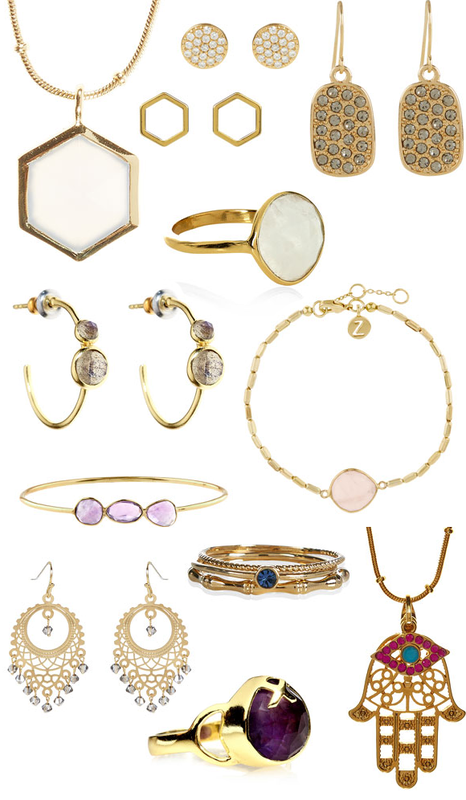 Reminiscent of the designer's current collection rather than the Metropolis range, the Z for Accessorize range features gold-plated items with familiar Zara Simon elements such as hexagons and hand-cut, faceted precious stones. Most of the collection comes in at under £20 per item, so us spend-thrifts can get our hands on some great, British-designed jewellery that won't break the bank! Winning at life! To view the full collection click here or visit your local branch of Accessorize.